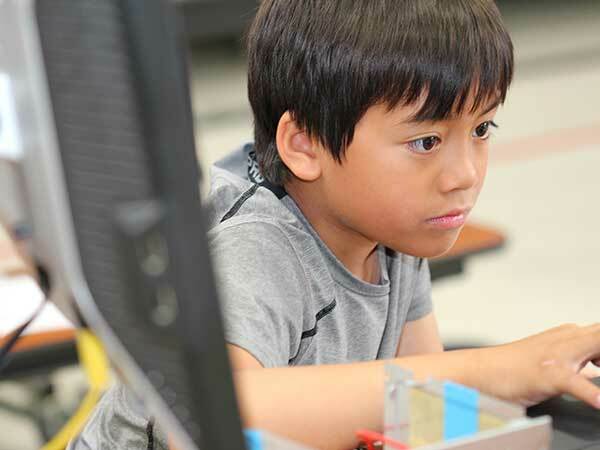 Join us as we learn to program our own video games! 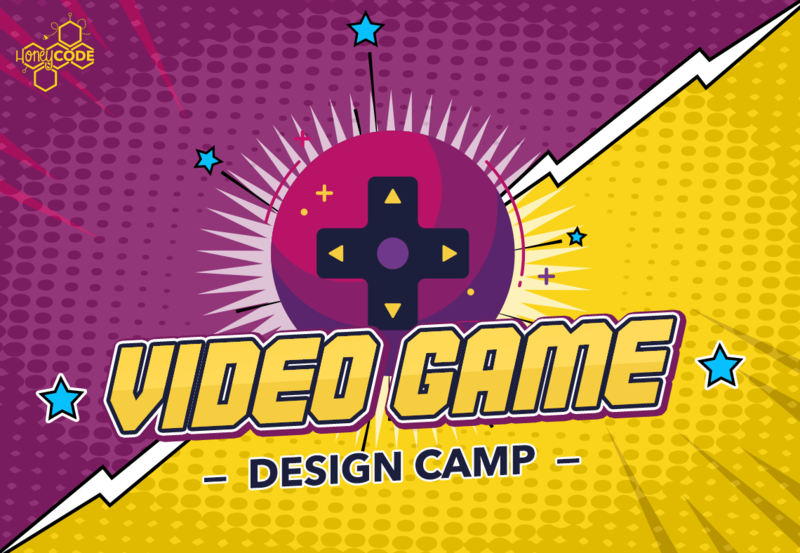 It's the perfect camp to learn the basics of game design. 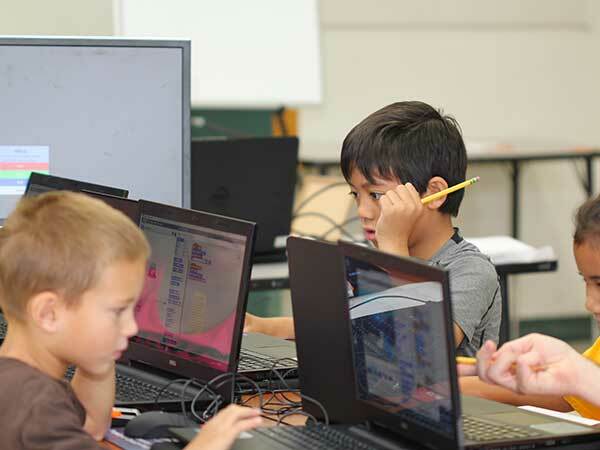 Students will advance to a level where they'll be able to work independently and code a video game of their own design. Game goals include programming player keyboard assignments, coding threats to players, defining "win" parameters, and more. 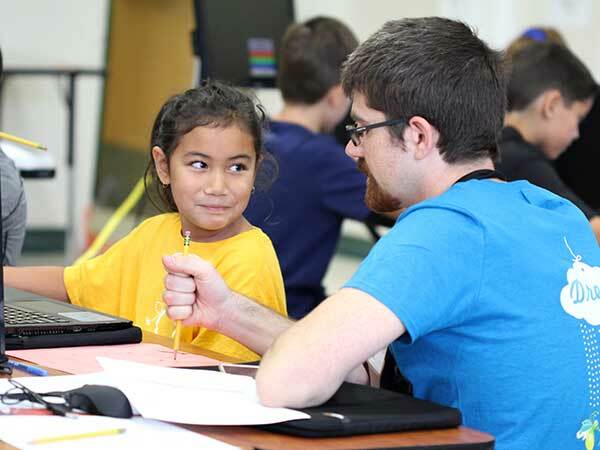 Did you know that 71% of all new STEM jobs are in computing? 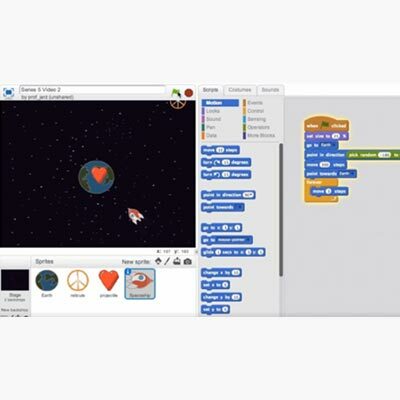 In today's world, coding is the second language every child should learn! 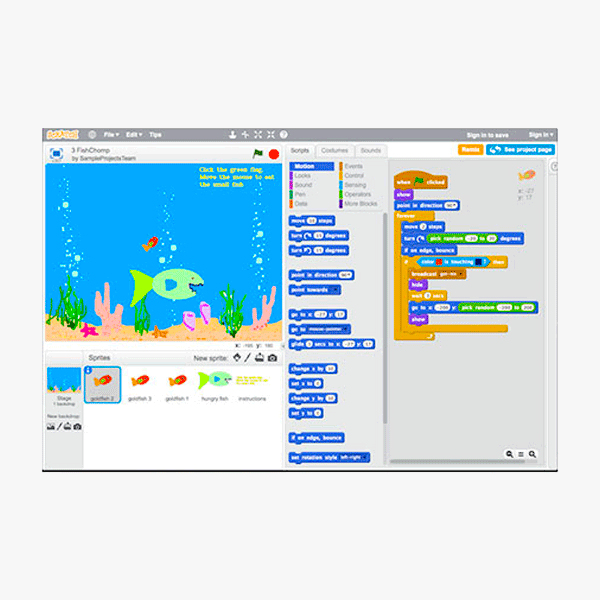 Your child loves to play video games; now it's time they code their own! 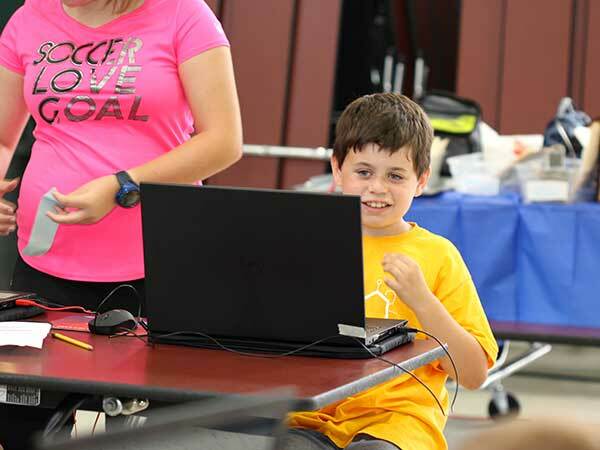 Video Game Design Camp is open to children ages 8-12. Must be age 8 by June 1, 2019. 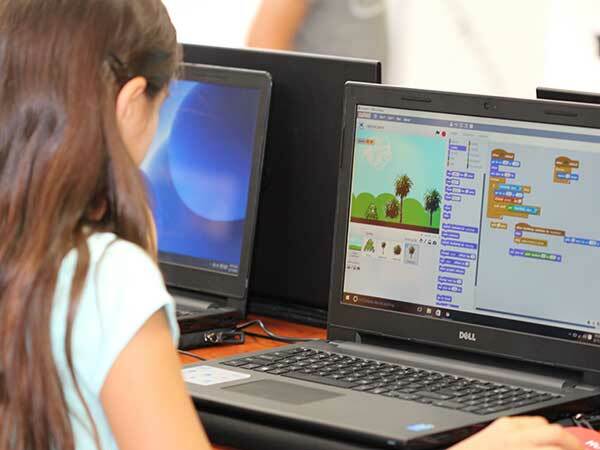 Students will use laptops to experience Scratch - a development platform in which they will program their own interactive video game challenge! Let's see what you come up with! One of the video games we'll learn to code this summer is an inbound target game. Learn how to make the game respond to input from your computer keyboard, and how to get onscreen objects to interact with each other in increasingly complex ways. 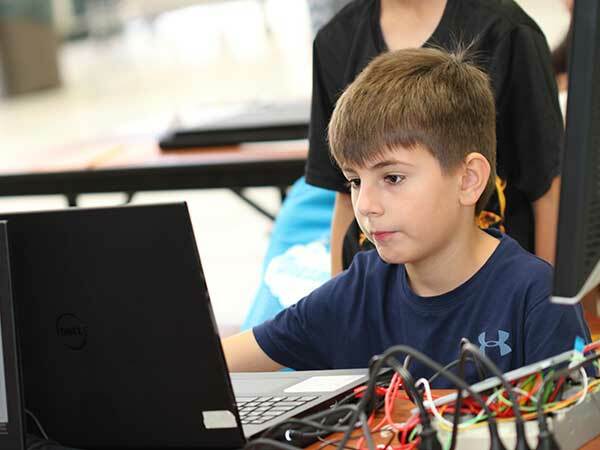 As camp progresses, we’ll learn important computer-science principles: such as if-then loops, object-oriented programming, and debugging strategies. My 9 year old just completed his 2nd week of camp. The first week was a computer coding camp, and this week was a stop motion/animation camp. I'm not exaggerating when I say that he came home everyday energized from camp activities and their projects. He hugged me and thanked me for signing him up. What's great about that is he whined in the car on each Monday about going to camp from 9am-2pm, and having to go 2 weeks in a row. But after his first day each week, he couldn't wait to go back! The instructors each week were wonderful and I could tell the kids related to them. I know from reading about Dream Enrichment that it's a small business, so I couldn't be happier to give them such a well-deserved, great review. If your child(ren) is/are into computers, I highly recommend sending him/her to a Dream Enrichment camp.